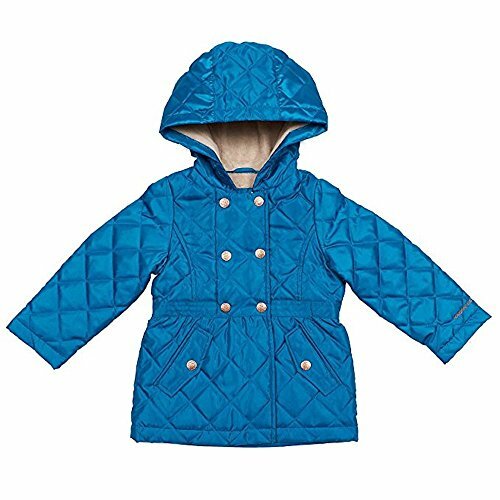 This London Fog Quilted Hooded Midweight Jacket for Girls' is designed to keep your little one warm and protected from the elements while looking fashionably adorable. This London Fog jacket features lightweight and protective quilted fabric. Ultra soft fleece lines the hood and body, and the jacket has a defined waistband for a feminine fit. Fully lined keeps her comfortably soft and warm. It is machine washable making it easy to care for and has snap pockets and a snap and zip front closure.